Yummy! Kibi dangos, are chewy and sweet snacks made from millet flours. 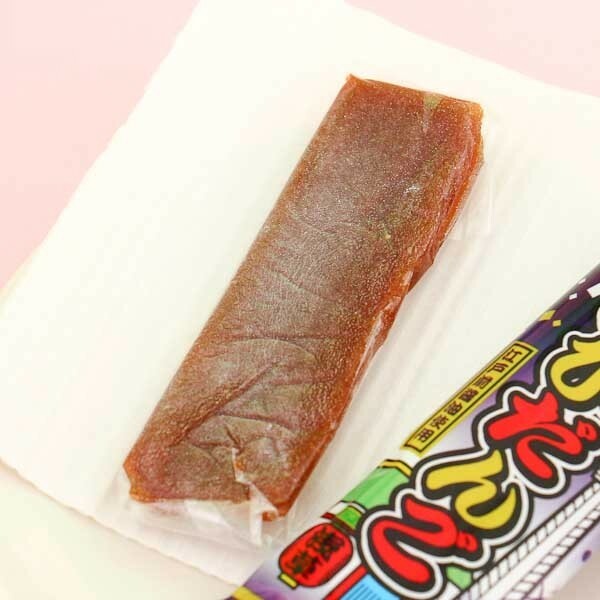 This very traditional Japanese treat has been eaten in Japan since the 1800s, and has a special place in Japanese people's hearts. Everyone has tasted this snack when they were young little children, and heard the famous folklore tale of Momotaro the Peach Boy when tasting the snack! The little boy Momotaro came to Earth inside a peach and his new parents gave him kibi dango as a snack when he grew up. After growing up Momotaro left to fight an island full of demons, and his friends a dog, pheasant and a monkey followed him and they shared kibi dango after the battle. This Kibi dango is carefully wrapped inside a protective carton that will keep the precious bar safe while in a pocket or a bag. 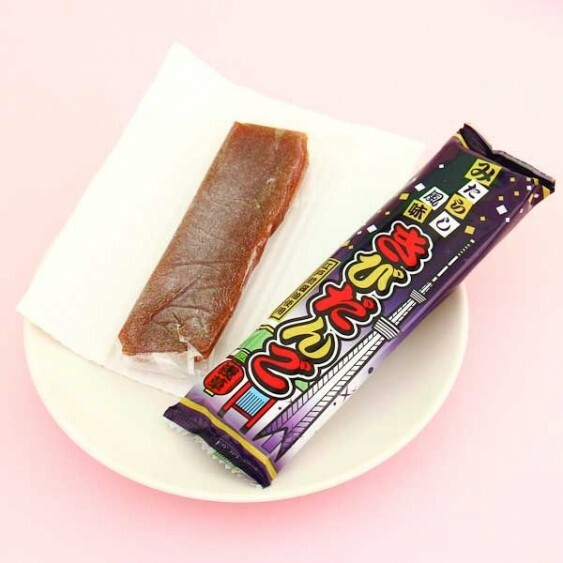 Look no further, this snack will bring a taste of Japan into your mouth!